Mai Beppu’s time riding in Korea has come to an end. The Japanese jockey has held a license at Seoul Race Park for a full year but will return to Japan at the end of February. She will be replaced by young JRA jockey Sho Ueno. Beppu first rode in Korea in the “International Lady Jockey Invitational” – an event that mercifully for all sorts of reasons hasn’t been repeated – in Busan in 2009, finishing third in the race behind fellow Japanese Hitomi Miyashita who herself went on to spend a successful year riding full-time at Busan. 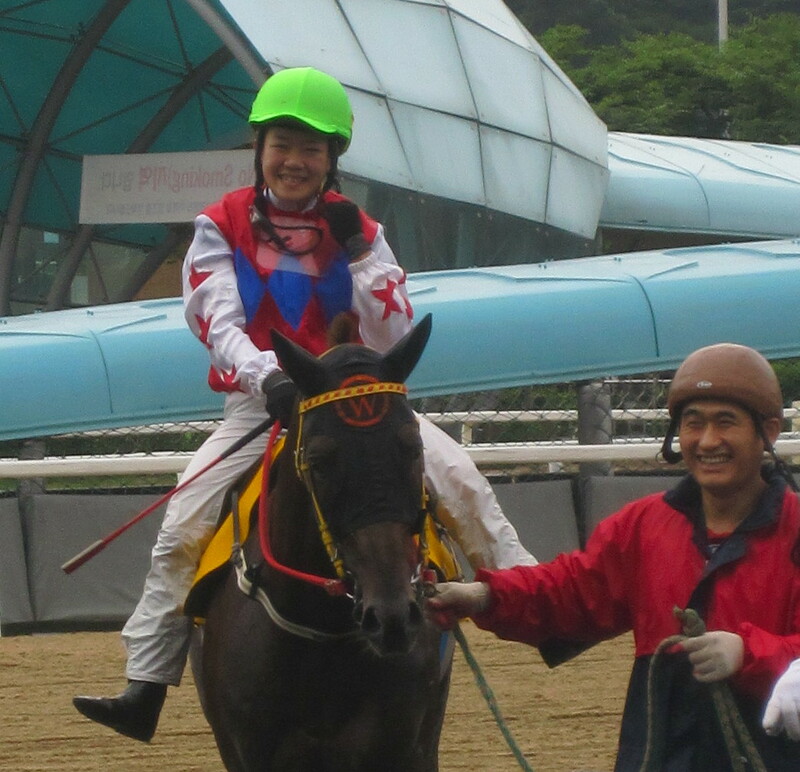 Beppu arrived in Seoul last March and, after getting injured on her first weekend went on to have a reasonably successful time at the track – at least by the usual standards of the thankless task that is being a foreign jockey riding at Seoul. She ended with 13 wins over the year, with a quinella strike rate of 9%. Like all other foreign jockeys at Seoul, while she did get plenty of rides (around 300 in total), their quality was lacking. Always smiling, the 24 year-old Mai was popular with punters, trainers and other jockeys (some more than others) and will, with any luck, continue to have a successful career in future. Mai’s replacement at Seoul is 26 year-old Sho Ueno. Based at tthe JRA’s Ritto Training Centre, Ueno debuted in 2004 but has only managed 38 winners from 1,236 rides in Japan. 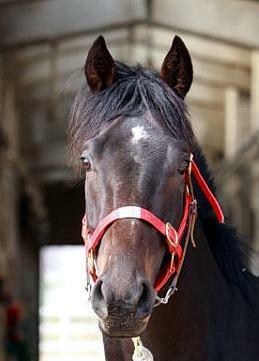 He joins Makoto Noda, who is coming to the end of his license and Toshihiko Inoue as the only foreign riders at Seoul. Akane Yamamoto is currently the only foreign jockey at Busan although the suspended Nathan Stanley is still licensed. Sho Ueno is on an initial 4 month license starting March 1. Yeonseung Daero grabbed victory in the Busan Ilbo Stakes while in the capital, two-time Grand Prix winner Dongbanui Gangja made light work of the top weight of 62kg to win the feature race. On the south coast, Yeonseung Daero (Creek Cat) was sent off favourite for the mile-long Listed Stakes race – Busan’s first of 2012. And reunited with jockey Jo Chang Wook for the first time since placing fourth in the Minister’s Cup in 2009, the six-year old was always well-placed, entering the home straight in third and then comfortable seeing off the challenge of Dongseo Jeongbeol (Vicar) and Mulbora (Fiercely) by a full three lengths. Peter Wolsley’s Khaosan was fifth while Joe Murphy’s Udeumji ran to form in finishing a lowly ninth. Fifth behind Sangseung Ilro in the 2009 Korean Derby, Yeonseung Daero has gone on to become the most consistent performer of that particular crop of runners. A money-winner in ten Stakes races over his career, today was just his second win at the Listed level, his first coming in last year’s Busan Metropolitan at the expense of Tough Win and Dangdae Bulpae. 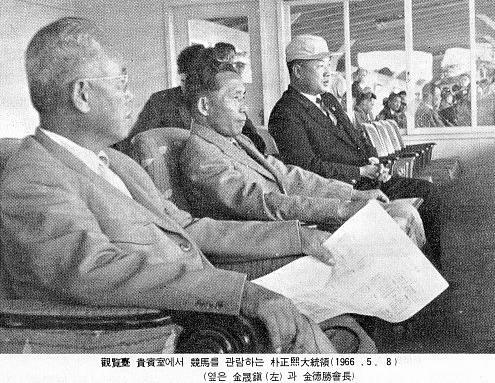 His overall win record would surely have been higher than the sixteen from forty starts were it not for the fact that his connections – who also own recently retired 2010 Derby winner Cheonnyeon Daero – took the decision when he reached four-years-old, to only run him against foreign-bred opposition or in Stakes races. It’s a move that meant not only did he have to carry less weight than he would otherwise have done, has also made for far more competitive races and it is unfortunate that more owners don’t do this with their best Korean bred horses. Up at Seoul, there was a familiar figure in the winner’s circle after the feature race. Dongbanui Gangja (Broken Vow) beat out a competitive field to win by half a length from Necromancer (Air Eminem), Captain Cugat (King Cugat) and pre-race favourite Kkakjaengi (Put It Back). The former double Grand Prix champion and Horse Of The Year was giving at least four kilos to all of his rivals and was coming in to the race off the back of a ten-length humbling at the hands of young phenom Smarty Moonhak in his last outing. The Dongbanui Gangja we saw on the track today though – and in fairness last time too – was a much more disciplined one than in the past. He may not seem to have the same kind of explosive finish he had in the past but neither does he go wandering out wide giving himself far more ground to cover than any of his rivals. Today, after Choi Bum Hyun made his characteristic move around the field on Dongbanui Gangja in the back straight, he got on the rail and stayed there until the finish. It’s good to have him back although with Kkakjaengi disappointing, it looks as though the search goes on to find a horse to join Tough Win and Mister Park as the only credible challengers to Smarty Moonhak this year. 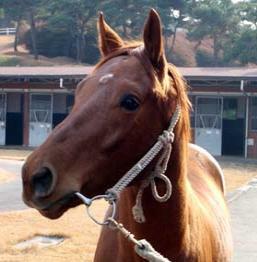 He’s a Ttukseom Cup winner and is the most successful runner by his late sire The Groom Is Red. And today, Triple Seven was back in the winner’s circle at Seoul Race Park after scoring an upset win in the afternoon’s feature handicap. Starting as a 14/1 outsider behind favourite High Point, currently ranked behind only Ace Galloper in terms of domestic bred horses in the capital, Triple Seven was always close to the front as the field set a very slow pace in the 1900 metre race. While Suseong TX, Money Teukgeup and Cheot Insang all took part in a closely fought finish, High Point was nowhere to be seen and eventually finished last but one as Triple Seven took victory by a length and a half. The victory took Triple Seven past the One Billion Won prize money mark and was his thirteenth win from thirty-five career starts. It was his first start since September last year and the extended break appears to have him back looking something like the horse he was two years ago. He’ll not be in the Ttukseom Cup this year – it’s now for fillies and mares only – but whatever race he starts next, he won’t be 14/1 again. In other races, it was a big day for apprentice jockey Lee Hyeok. 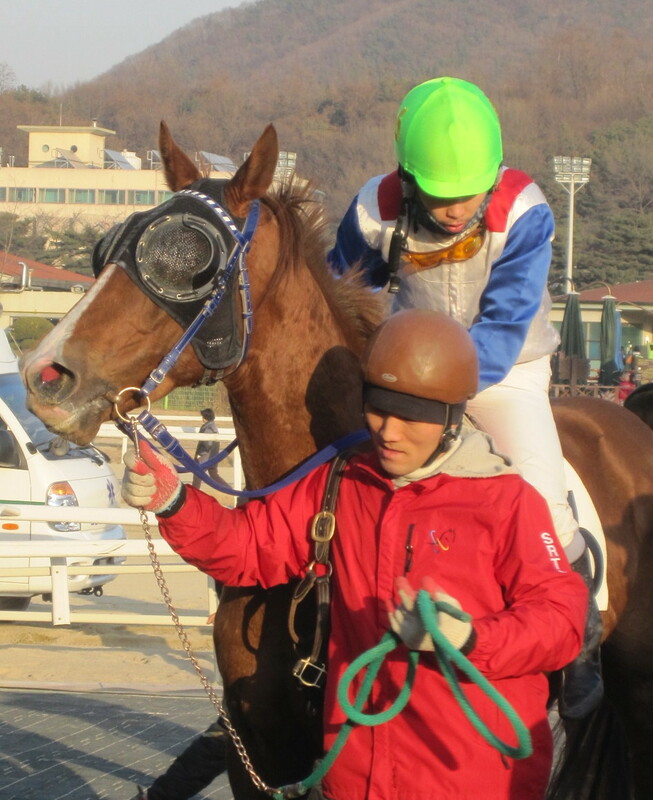 The 25-year-old (these days Korean jockeys have to complete their education and then study full-time at the KRA jockey academy before they can get a license – the majority of new jockeys are in their mid-20’s) landed the first double of his career to get his fourth and fifth winners since debuting last summer. Later in the day, he suffered his first in-race fall as Kwaegamhaengjin appeared to break down on the second corner in race 9. Lee was sent tumbling and was narrowly missed by horses coming through behind him. Remarkably after being treated on the track for five minutes, he was able to walk away. 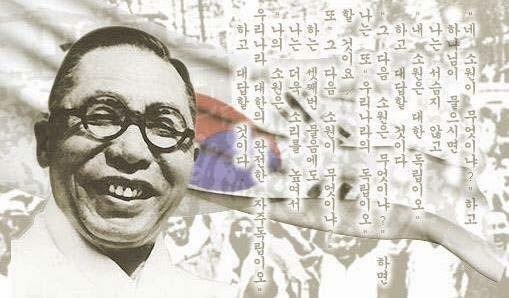 Kwaegamhaengjin [Newsprint-Yeonseung Kwaegam (Real Quiet)] sadly was not so lucky. The four-year-old was starting for the twelfth time and had two wins and three second places to his name. Those two wins had come in his last three outings and he was looking set for a successful season. A few years ago, a horse would break down and the vet would be nowhere to be seen. 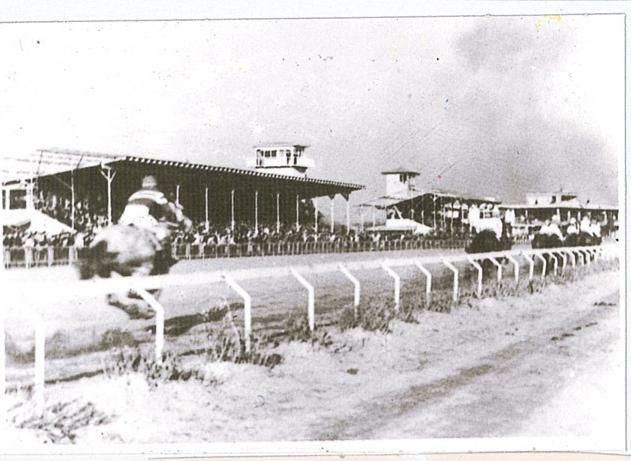 In some ways it is a sign of how far racing here has come that today the horse was being attended to as quickly as the fallen jockey; just seconds after it happened. The most difficult moment in racing has been made as humane and dignified as it has been anywhere. Nevertheless, every time it happens is once too often. 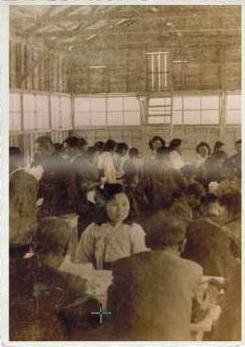 The track may have had nothing to do with Kwaegamhaengjin’s fate, but the breakdown rate is still too high. It is surely time to get rid of this sand. Racing returns to Seoul on Sunday with Dongbanui Gangja and Kkakjaengi fighting it out in the feature race. Down at Busan, it is the first Stakes race of the season and Yeonseung Daero is set to be favourite for the Busan Ilbo Cup. Busan Race Park sees its first Stakes race action of the year on Sunday as thirteen of the track’s best Korean bred older horses line-up for the Busan Ilbo Cup. Last year’s Minister’s Cup winner Dongseo Jeonbeol, Busan Metropolitan winner Yeonseung Daero and the current top-rated (without Mister Park) Korean horse at Busan, Champion Belt will all line up for the Mile-Long rrace. There is foreign interest too as both Peter Wolsley and Joe Murphy have runners. Wolsley saddles Khaosan, who won the Owners’ Cup last year, while Murphy sends out Udeumji, who is without a win since last May but as such, finds himself bottom of the handicap. Meanwhile, Japanese jockey Akane Yamamoto will ride another outsider, Choego Yeongung. Up at Seoul, Saturday sees former stakes-winners High Point and Triple Seven among the runners in the feature race while on Sunday former double-Grand Prix victor Dongbanui Gangja headlines the main event. The former champion was handed a comprehensive drubbing by Smarty Moonhak last month and will have to carry top weight of 62Kg in the 2000M handicap. Top filly Kkakjaengi also goes in a full field of fourteen as do a pair of relative newcomers to class 1 level Celebrate Tonight and Mass Media’s Tea. On the classic trail, we’ll be mostly looking out for colt Nobel Pokpung in race 11 at Busan on Friday and filly Dolpung Jilju in race 9 at Seoul on Saturday. Busan Race Park: 8 races from 11:50 to 16:50 including the Busan Ilbo Cup at 15:55. Fillies took centre-stage at Seoul Race Park this afternoon and there was a shock as highly rated Aussie import Xicar came unstuck in the feature Segye Ilbo Cup. Making light of an unfavourable barrier draw, Xicar, who came into the race with three wins from her six starts, looked to have vindicated punters who sent her off the odds-on favourite as she appeared on the shoulder of the leaders heading into the home straight. Wonderday, a three-year old filly bred by Spendthrift Farm in Kentucky and bought for $20,000 at the Ocala Spring Sale last year, now has three wins from her five starts. For jockey Lee Joon Chel, it was a first ever Stakes win since he made his debut as a jockey in 1999. As for Xicar, she returned not displayng any obvious signd of injury. She’s proven already that she can compete in strong company and will no doubt be back. * Down at Busan, it was another good day for Peter Wolsley. The Australian trainer saddled Pegasus Farm’s filly Secret Whisper (Sea Of Secrets) to her seventh victory in fourteen starts in the afternoon’s feature race. 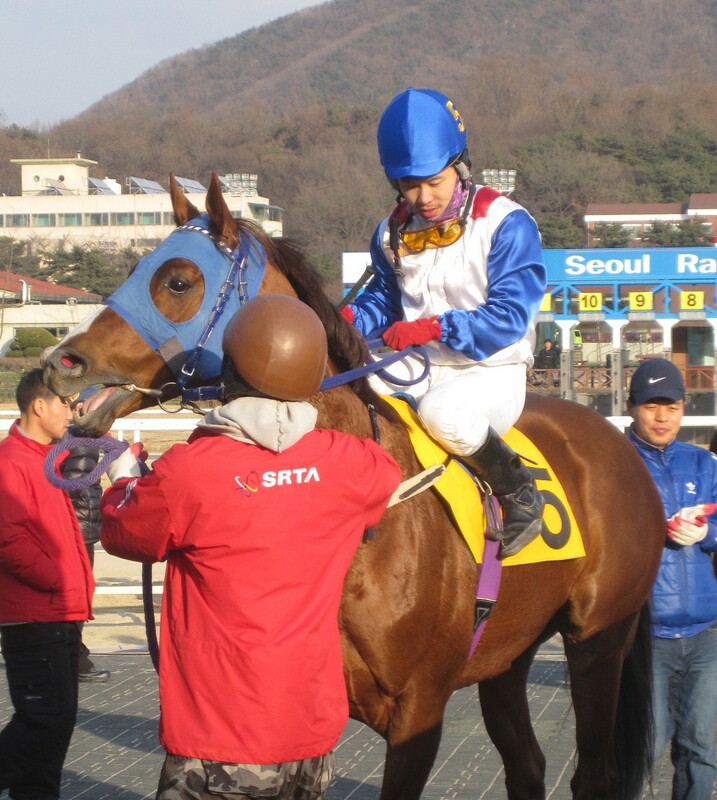 After a barren spell of over a year, Tamnaseontaek returned to the winner’s circle at Seoul Race Park this afternoon. 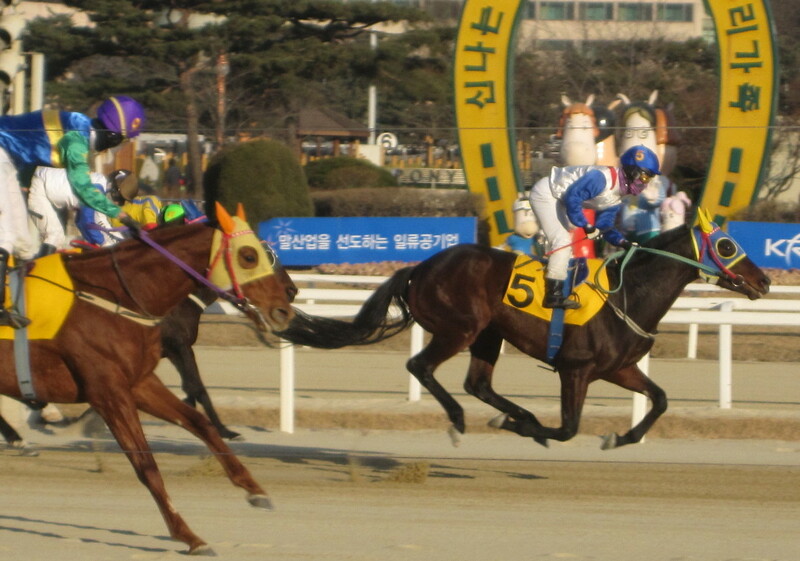 The five-year-old, who competed in the Korean Derby in 2010 and has three Stakes race placings to his name, finally landed a Class 1 race by taking a narrow victory in the feature handicap. Symphony Sonata, another who has found the going tough since breaking through to the elite level, was a battling second while former Champion filly Dongbang Rose could only manage third. 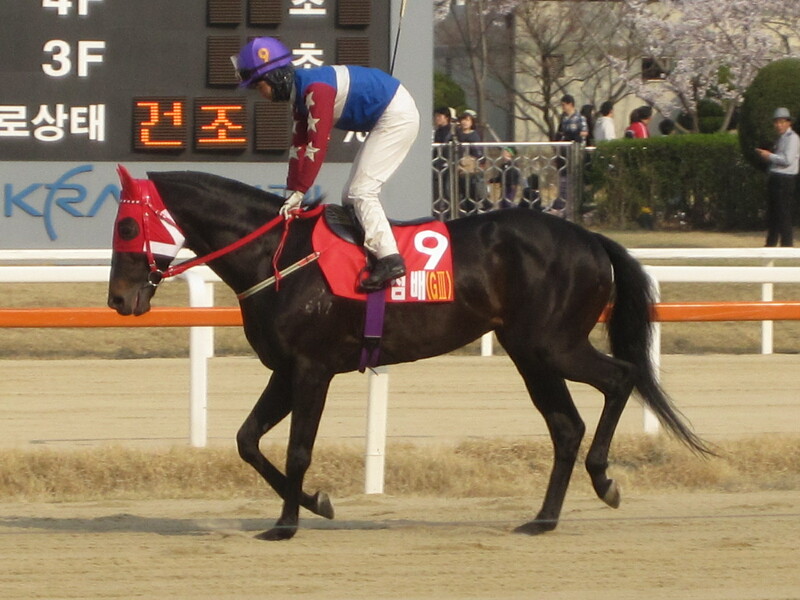 On Friday at Busan, there was a dominant win in the feature race for 5/1 chance Money Tree (Medallist). The five-year-old mare scored by seven lengths from outsider Sinheung Daejangun and favourite Tough Tiger to record her seventh career victory. It was another big success for Japanese jockey Akane Yamamoto who, for the time being, is the only foreign rider at Busan. On Sunday the focus is on Seoul where Aussie filly Xicar (Written Tycoon) is set to be favourite for the Segye Ilbo Cup. Meanwhile at Busan, Aussie trainer Peter Wolsley is in with a shout in the feature race as his Secret Whisper (Sea Of Secrets) has strong claims in a seven furlong handicap.